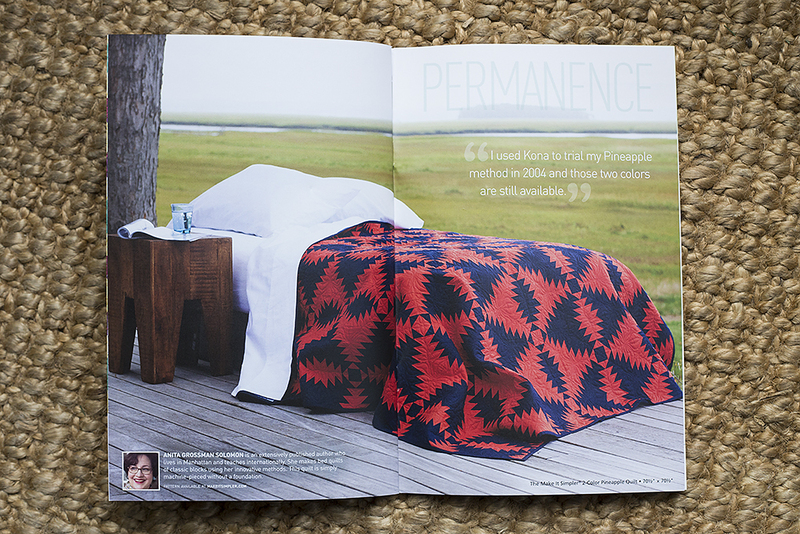 30 Quilts For 30 Years ~ Kona Cottons and Giveaway! Today is my stop on the very inspiring Kona Cottons 30 Quilts for 30 Years blog tour! Several months ago, I was asked to participate in a celebration of 30 years of Kona Cotton Solids by Robert Kaufman Fabrics. Thirty quilt designers created quilts and patterns using this huge range of solid colors. 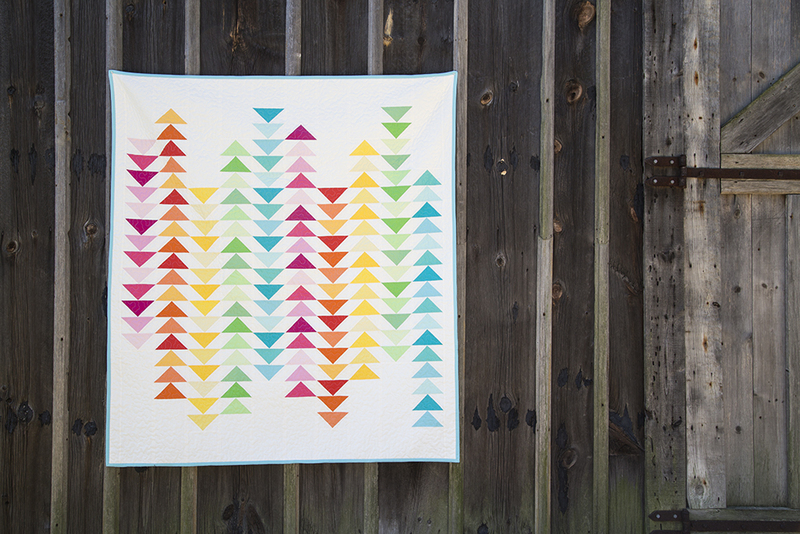 The quilt I designed was my Spectrum quilt (digital and hardcopy patterns available here). 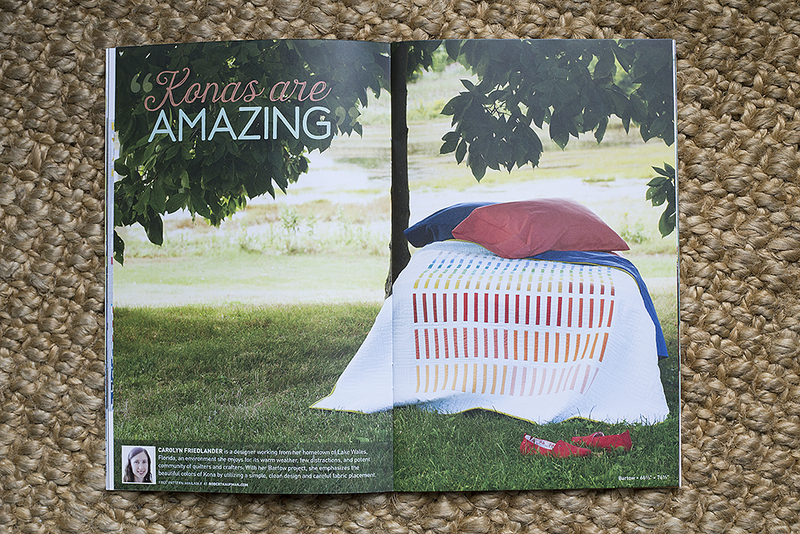 Apparently I also have a thing for quilts draped on beds outdoors! In celebration of these 30 Years of Kona Cottons, Robert Kaufman Fabrics and I are doing a little giveaway! Leave a comment on this post for your chance to win a set of 5" charm squares of the new 2014 Kona Cotton Solid colors, as well as a copy of my Spectrum quilt pattern. The contest will be open around 24 hours and I will pick a winner tomorrow! Week 5: Sunday, November 30th: Elizabeth of Don’t Call Me Betsy Monday, December 1st: Emily of Carolina Patchworks Tuesday, December 2nd: Ken Kaufman Wednesday, December 3rd: Grand Finale! 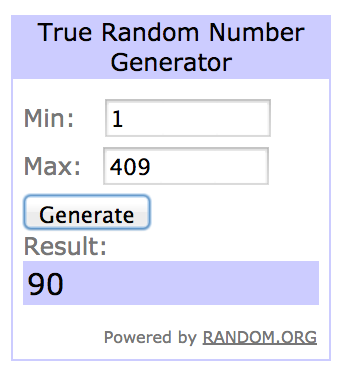 The winner is #90 - Verena! I’ll be in touch with you Verena, to get your set up with your prizes. Thank you everyone and enjoy the rest of the blog hop! 318 Patchwork Patterns Blog Hop ~ And Giveaway!